Former child star Fiona Hume deserted the movie biz a decade ago--right after she left rehab. She landed in Baltimore, bought a dilapidated old mansion downtown, and hatched dreams of restoring it into a masterpiece, complete with a studio for herself.She would disappear from public view and live an artist’s life. Ten years later,Fiona’s huge house is filled with junk purchased at thrift stores, haggled overat yard sales, or picked up from the side of the road. Each piece was destined for an art project . . . but all she’s got so far is a piece of twine with some antique buttons threaded down its length. She’s thirty-two years old and still recognizable, but Fiona’s money has finally run out. She’s gotten pretty desperate, too, and in her desperation she’s willing to do almost anything for money. Almost. So it is that she comes to rent out the maid’s quarters to a local blacksmith named Josia Yeu. Josia is everything Fiona isn’t: gregarious, peaceful, in control without controlling . . . in short,happy. As the light from the maid’s quarters begins to permeate the dank rooms of Fiona’s world, something else begins to transform as well—something inside Fiona. Something even she can see is beautiful. 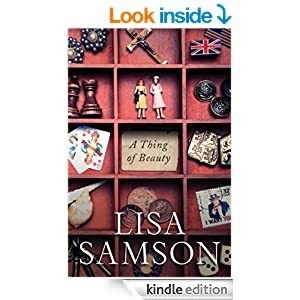 Lisa Samson's books are on my "must read" list and this one doesn't change that. The focus of the book is love; how having it and how not having it have had an effect on Fiona's life. As noted above, Fiona was an actress; in fact she was the daughter of an actor and actress. We learn early on that as a teen she was sexually abused and believes that her parents did nothing about it. Her parents also mis-managed her money and as a result, she divorced them, quit acting and moved to Baltimore, which is where her paternal grandfather lived. She planned to become an artist, but instead has turned into a hoarder. While she collects things with the idea of turning them into art, the transformation never takes place; instead she has a large house that is overrun with her treasures to the point that she can't find what she needs. When it gets to the point that what Fiona needs is money, she decides to rent out a room. She sets up house rules that basically say that her tenant has use of the bedroom and bathroom and that's it and that there is to be almost no contact between them. The tenant she ends up picking is Josia who loves her (not romantically) immediately. He also loves her house and her treasures and shows how the treasures can improve the house. While I liked Josia I found him to be the most unbelievable character in the book. The story contrasts the lack of love of Fiona's mother, the flawed love of her father, the patient and reserved (and somewhat strange) love of Jack and the almost perfect love of Josia. Once Fiona realizes that people do really love her she is able to open her heart to accept that love, and to shake the dust from her feet when dealing with someone who doesn't love her, but should. You know what? People are always searching for truth and I'm wondering if that even matters anymore. ... Social media...brought about these thoughts? Yes! Nowadays people formulate truth; they don't find it. I'm sure people have opinions about what happened to me even though none of them have heard about it from me. And you know what is even sicker? "They are so sure about it?" Right, So I ask you. If this is what happens with the situation of someone...as insignificant as I am, how can we possibly know...what goes on with what really matters....a lot of them know nothing first hand and think they know everything. And they talk-talk-talk-talk and post their opinions all over the Internet and it's loud and ridiculous. It's like were all on this ship of fools and nobody knows if the boat is even real. The book is published by Harper Collins Christian publishers and the themes of love and rebirth are certainly Christian. I guess Josia is kind of a God figure--he loves unconditionally, not romantically and makes old things new again. Nevertheless there is no mention of God, Christ, religion or church in the book and I see no reason that it should offend anyone's religious sensibilities or lack thereof. What could be more familiar than the Christmas story -- and yet what could be more extraordinary? The cast of characters is strange and exotic: shepherds and magicians, an emperor and a despot, angels, and a baby who is Almighty God. The strangeness calls for an explanation, and this book provides it by examining the characters and the story in light of the biblical and historical context. Bestselling author Scott Hahn who has written extensively on Scripture and the early Church, brings evidence to light, dispelling some of the mystery of the story. Yet Christmas is made familiar all over again by showing it to be a family story. Christmas, as it appears in the New Testament, is the story of a father, a mother, and a child -- their relationships, their interactions, their principles, their individual lives, and their common life. To see the life of this "earthly trinity" is to gaze into heaven. If you aren't familiar with Scott Hahn, he is a Scripture scholar. Throughout this book about the very familiar Christmas story, Hahn points out how the story is similar to other stories in the Bible. The Shepherds to whom the angels appeared Christmas night were not the only shepherds in the Bible, nor the only ones to whom angels appeared and Hahn tells us about many of them. One chapter is "Mary: Cause of Our Joy" and in it Hahn discusses the scriptural and historical support for the Catholic beliefs of the virgin birth (shared by most Christians) and Mary's perpetual virginity (basically a Catholic belief). In another chapter Hahn looks at the angels and in yet another, the town of Bethlehem. The Magi get their chapter as well. Hahn ends the book with a look at the Trinity and how it is imaged in the Holy Family, and in our families. Hahn's thesis is that God became like us (human) so we could be like Him. I enjoyed the book and found it to be an engaging read with many facts of which I was unaware. While the endnotes are extensive, the text itself is approachable and readable. 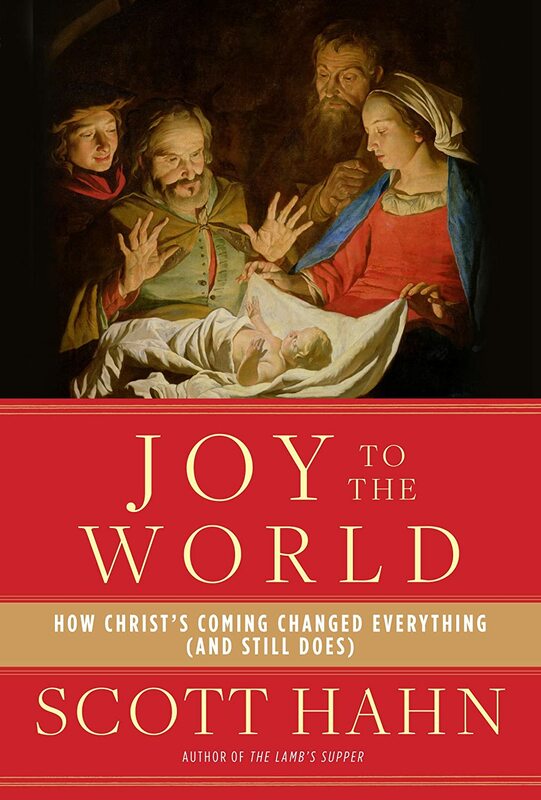 If you are looking for a good book to end your Christmas season this year I recommend this one--or put it on your list for next year's Advent reading. Grade B+. I received a complimentary copy of this book via the Mega Advent Giveaway and was not obligated to write any review. Every day we have another opportunity to pray for the holy souls in purgatory - author, speaker, and purgatory expert Susan Tassone gives you a unique tool to do just that. 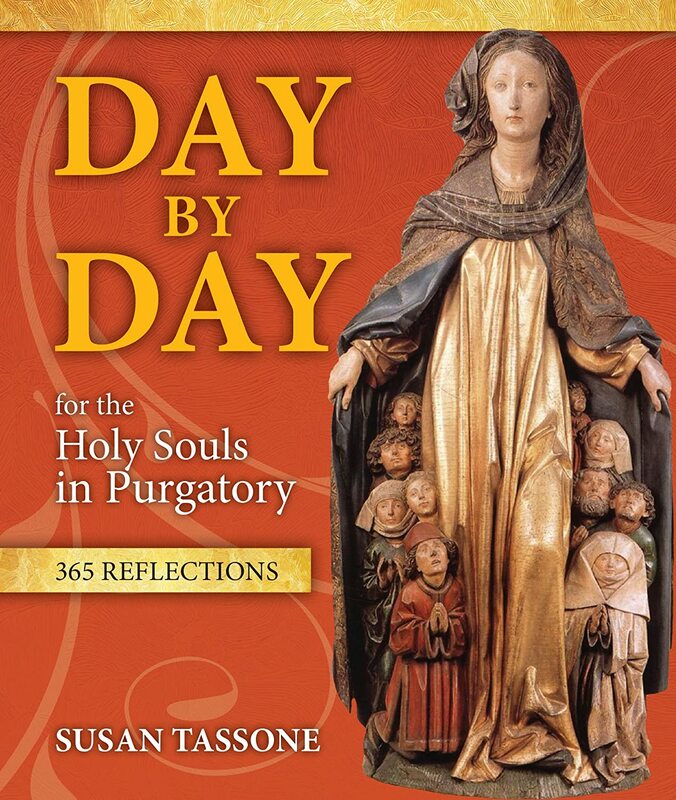 Day by Day for the Holy Souls includes prayers, teachings about purgatory, real-life stories, Susan's own wisdom, meditations, quotes from the saints, and more. You can use this book however you like - as a daily devotional, as a year round novena, to follow the liturgical seasons - or, just pick it up and read as the Spirit leads you. God has given us the duty, power and privilege of praying for the release of the holy souls. Now Susan Tassone has given you a powerful way to accomplish that mission. One area of belief that separates Catholics from other Christians is our belief in Purgatory--a place or state which most people enter after death to cleanse them and prepare them for heaven. Those in Purgatory are saved, they will eventually get to heaven, but they died with sins and/or attachment to sins that make them imperfect and not ready to be in the presence of God. Purgatory is the reason that Catholics pray for the dead. We believe in the Communion of Saints, which means that we believe the Church--God's people--is made of three groups: The Church Triumphant is the Saints in heaven, both those canonized (formally named) and those who aren't (most of us). They can pray to God for our intentions and they don't need our prayers. The Church Militant is those of us here on earth. We can pray for others and the prayers of others can help us. The Church Penitent is those in Purgatory. They can benefit from our prayers, but can't pray for others--until they get to heaven. Day by Day for the Holy Souls in Purgatory: 365 Reflections is a prayer book rather than one that sets out to teach; yet by its format it does teach about Purgatory and what we can do to help those there. There is a short reading and reflection for each day and those readings generally concern Purgatory or the Poor Souls. The author quotes saints and theologians and each day's page begins with a short scripture quote. Captured by a Russian army during World War II and convicted of being a "Vatican spy," Jesuit Father Walter J. Ciszek spent 23 agonizing years in Soviet prisons and the labor camps of Siberia. Only through an utter reliance on God's will did he manage to endure the extreme hardship. He tells of the courage he found in prayer--a courage that eased the loneliness, the pain, the frustration, the anguish, the fears, the despair. For, as Ciszek relates, the solace of spiritual contemplation gave him an inner serenity upon which he was able to draw admidst the "arrogance of evil" that surrounded him. Ciszek learns to accept the inhuman work in the infamous Siberian salt mines as a labor pleasing to God. And through that experience, he was able to turn the adverse forces of circumstance into a source of positive value and a means of drawing closer to the compassionate and never-forsaking Divine Spirit. 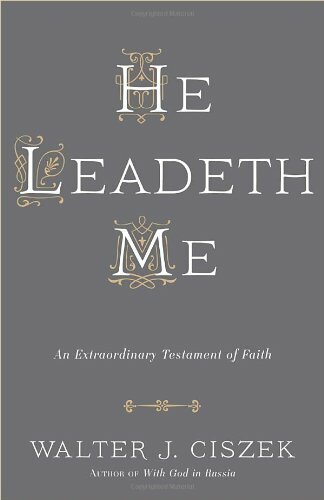 He Leadeth Me is a book to inspire all Christians to greater faith and trust in God--even in their darkest hour. As the author asks, "What can ultimately trouble the soul that accepts every moment of every day as a gift from the hands of God and strives always to do his will?" This book is more of a spiritual journal, written after-the-fact, than an autobiography. While Fr. Ciszek includes some details of his daily life as a prisoner of the Soviets, he mostly writes about his spiritual life during that time. He talks about learning to depend on God and God alone, about his love for the Eucharist, about serving the other prisoners by administering the sacraments and counselling them. While at times the book seemed repetitive, it was an easy read, though one that had a lot of food for thought if you want to use it as spiritual reading. Today in the US it is so easy to take the freedom to practice our faith for granted; Fr. Ciszek tells his story and the story of people for whom practicing the faith could and often did lead to hardship. I'd like to thank the Blogging for Books program for providing a complimentary review copy. Grade: B+. Pope Francis has called for an increase in mission - what does that mean for teens? The teens who share their stories all encountered God in a profound, real way. They found sacrifice, service, and joy - and met God in the people that they worked with and served. Through real stories of real missions, Teens Share the Mission leads teens to a deeper sense of what mission is all about. The book especially points out ways to serve without traveling. As Britt Leigh points out in the foreword, serving those you know at home is just as valuable - and sometimes more awakening - than serving strangers that they won't see again after a week. Teens Share the Mission is the perfect gift for teens who are trying to figure out why service hours are required, or who are nervous about approaching a new mission trip. A great tool for youth ministry, World Youth Day catechesis, and religious education. To many teens (and let's be honest, to many adults) being "normal" is important. Standing out as overly holy isn't seen as a good thing. This book of stories/reflections is by "normal" teens -- you don't get the impression reading them that these kids are living some kind of non-social, overly pious life --who tell stories about their service to others both in the foreign mission field and during service projects here at home. Talegria tells the story of painting a room fuschia because the homeowner claimed that all colors were beautiful and given by God. Kymieal helped with Special Olympics and one of the paticipants noticed that Kymieal had trouble sittting still and mistook her for a participant rather than a volunteer. Patrick saw real poverty in Peru and also saw that kids were kids and would play with whatever toy was available (or make what was available into a toy). When Grace worked in Camden, New Jersey, part of the experience was feeding herself on the amount of money available to food stamp recepients--and shopping at the stores they used. Each story is followed by a couple of reflection questions and those questions often ask for action. If the teens in this book are representative of the kids in my kids generation (and I know some good kids in that generation) we'll be leaving the world in good hands. I was too busy celebrating Christmas to blog this week. I'd like to wish you and yours a blessed fourth week in Advent and Merry Christmas! My only post this week was a Mailbox Monday post listing all the books I got via the Mega Advent Giveaway. Stop by the Mailbox Monday blog and see what other folks got this week. This week I have been blogging about all the books I've been getting via the Mega Advent Giveaway. All I can say is that I need to quit writing and start reading!. Click the name of the publisher to see what they sent me. I also wrote a post about recent police shootings. 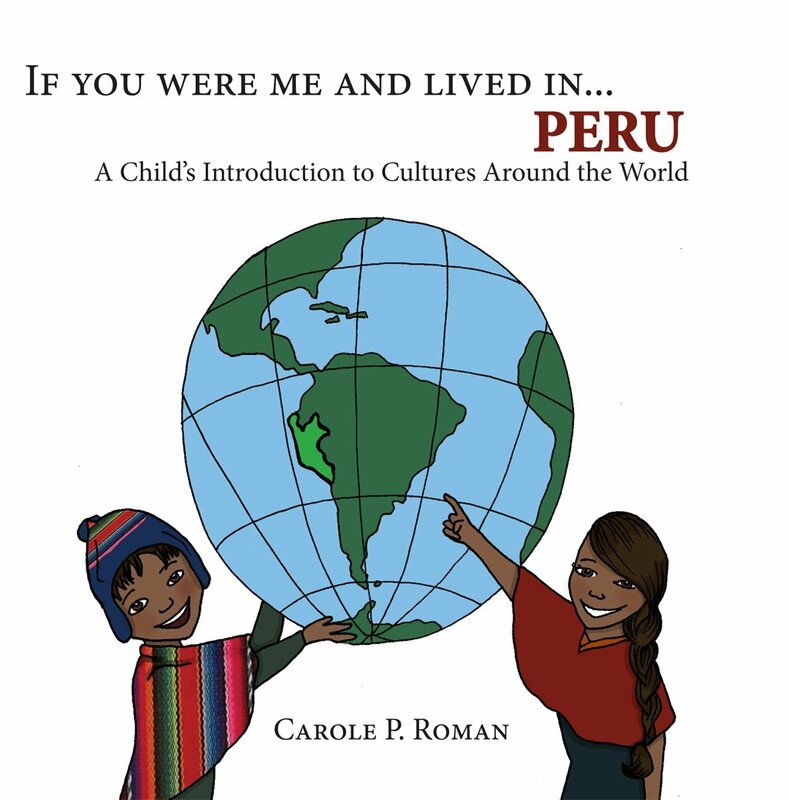 Finally, I wrote about a series of children's books about different countries. I've told you before that I'm a paralegal who sometimes works on high-profile criminal cases. I had an interesting experience last night that I'd like to share with you. My boss received two awards from a local criminal defense attorney's organization, primarily for his work on the David Warren case. If you want more information, a quick Google search will keep you reading for some time, but the short version is that our client, David Warren, a couple of days after Hurricane Katrina, was a police officer tasked with guarding a shopping center that contained a police substation. It was a two-story shopping center with a center courtyard and with second floor walkways which made it impossible to see the whole first floor. The whole city was under an evacuation order, there was no electricty or running water. David Warren is White. Two African-Americn men drove up in a truck and headed toward the gate to the shopping center. Warren testified that he told them to get back; the survivor said he did not. Warren shot one of the men; both ran away but the man who was shot collapsed about a block away. A passerby (also African-American) picked the two men up and took them to a local school where the police had a temporary headquarters. Instead of helping the man who was shot, the police detained the healthy men. Later, one of the officers took the car containing the victim up over the levee and burned it and the victim (presumed dead by this time). No one accused Warren of knowing anything about what happened at the school. Several years later Warren was tried, along with the police officer who burned the body and several who were accused of covering up the killing. That trial resulted in three convictions: Warren was convicted of the killing, the guy who burned the body was convicted of violating the civil rights of the victim and his family, and another officer was convicted of writing a false report. We appealed on the grounds that it was unfair to try Warren with the other officers when there was no evidence he knew anything about what they did. Warren's conviction was overturned and he was re-tried a year ago, and acquitted. In other words, the jury accepted Warren's explanation and classified the shooting as justified. The victim's family was devastated; Warren's family was elated. Last night an award was also given to an attorney defending the Danziger Bridge case. That case also put police officers on trial for a post-Katrina shooting. That case also resulted in convictions. However, the judge in that case overturned the verdicts and ordered a new trial due to prosecutorial misconduct--people from the US Attorney's office were commenting about the trial on the newspaper's website, and then lied to the judge about it. The attorney who unearthed the comments got the award. The commenters in the US Attorney's office, and the popular US Attorney lost their jobs. Another award went to a woman who has spent her life as criminal defense attorney fighting for the rights of the poor who make up the largest group of criminal defendants. Her acceptance speech was very short "Stop, don't shoot!" and she received a lot of enthusiastic applause, though not from our table. On the way to the dinner, we passed a group of young White adults who were protesting police brutality and names on the signs included the victim of the Warren shooting and Michael Brown. I mentioned to my husband that the group throwing the dinner would, as a whole, be more sympathetic to this group than to the police. What is right? What is justice in these cases? I haven't followed the Michael Brown case very closely and I certainly didn't read that huge Grand Jury transcript that was released. In short, I don't know what the Grand Jury heard and saw, and frankly I doubt many of the protesters did either. I'm proud to work in a criminal defense system based on laws. There are laws that protect the rights of the accused, even if he is a hardened criminal (or a police officer) and laws that limit the power of the State. While the families of Michael Brown, Henry Glover, and Eric Garner are mourning the loss of their loved ones, despite the fact that evidence supports the contention that they engaged in criminal activity at or about the time they were killed; the families of the involved police officers were relieved to have their loved ones home that night. A wife of a police officer once told me that her husband said he'd rather be tried by twelve than carried by six. It is tough to be a cop; however, that doesn't excuse them taking the law into their own hands. I wish I was a better writer; or maybe I should have thought this out more before I started writing, because I don't really feel like there is a point to this post, except to say that in the criminal defense business you learn to see both sides and you learn to see "criminals" as people and that I think a lot of society would be better off if they were able to do that. Also, I'm a blogger. 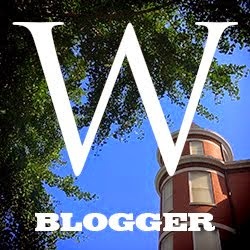 I'm an amature journalist/writer. No one hired me; no one can fire me. I have my little (and believe me, it is VERY little) corner of the internet and as long as I don't commit libel, I can say just about anything I want to say. I can name call; I can use very limited evidence to speculate, I can interview lots of people who are as ignorent of the facts as I am and put it all together, and if I can get enough people to read it, I have influence. We are trying people on facebook these days, rather than in court, and then we get outraged when things don't go the way they "should". An educated, informed populace is a good thing but despite the constant flow of information, I'm not sure we are being informed or educated by much of it. I always enjoy getting the latest books in this set and I hope the kids at school enjoy them too. 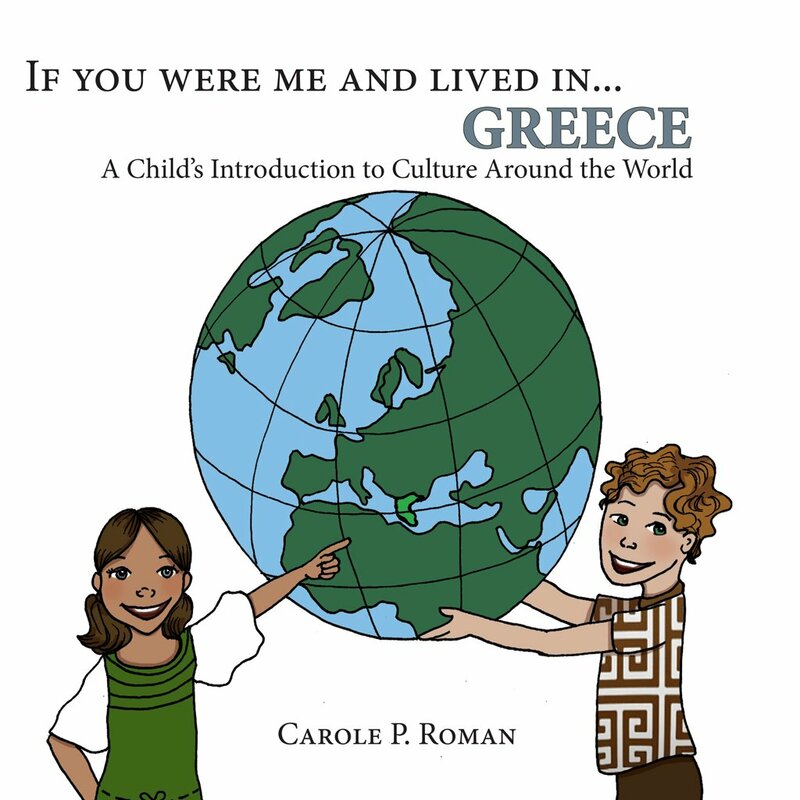 The format of each book is the same, which Carole Roman said was done on purpose to make it easy to compare and contrast different countries. Readers learn about common names, the words used for "mother" and "father" and holidays as well as a few historical facts. At $0.99 I think they'd be a great resource for homeschoolers. The big box from Catholic Word also had grown-up books. I really need to get off the computer and get reading! "I want to go to Communion, so I have to go to confession." Sound familiar? To many Catholics, confession is just a means to an end: cleaning us up from sin so we can receive Communion. But, as Pope Francis tells us, confession is much more than "going to the dry cleaner." It's "an encounter with Jesus, who waits for us as we are." 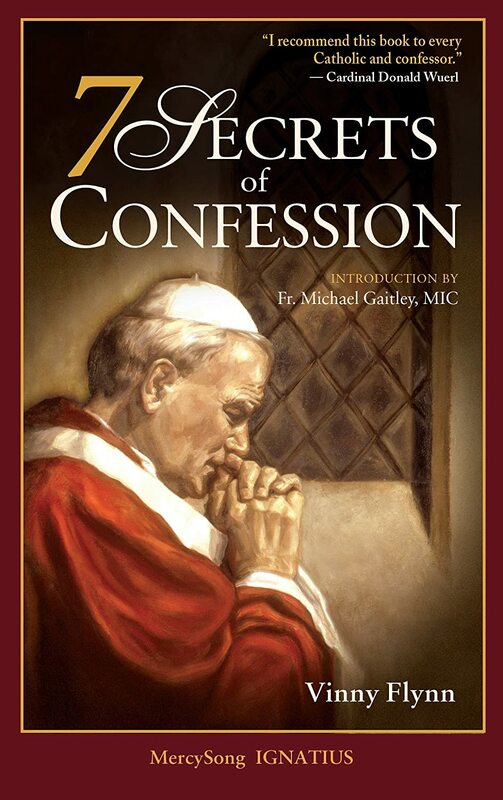 In 7 Secrets of Confession, best-selling author Vinny Flynn explores the "hidden" truths of this encounter with Jesus, presenting what to many will be a whole new way of going to confession, and inviting you to begin an exciting personal journey to healing and holiness. If you do no yet look forward to confession in the same way you look forward to Communion, read on. It will change your life. Going to Confession isn't on the top of the list of my favorite things to do. I flipped through this book and it looks like it is highly readable. There are quite a few quotes from St. Faustina's Diary and since I've never read it, I look forward to learning about it. Maybe this book will change my attitude about Confession. Live with a generous spirit! A book for all Catholic women who want to grow contemplatively, in order to pray effectively for their families and for the Church. The focus of the book is not academic but a spiritual encouragement to live out the life-giving capacity of the feminine genius. Mary Gannon Kaufmann describes the life-giving nature of womanhood and seeks to guide women to live a deeper contemplative life of faith and prayer that can awaken holiness in themselves and others, in their families and the priests and deacons that they pray for. Even though this call to effectively intercede for others is not new, today the call to spiritually uplift the Church and her clergy stands in new brilliance. 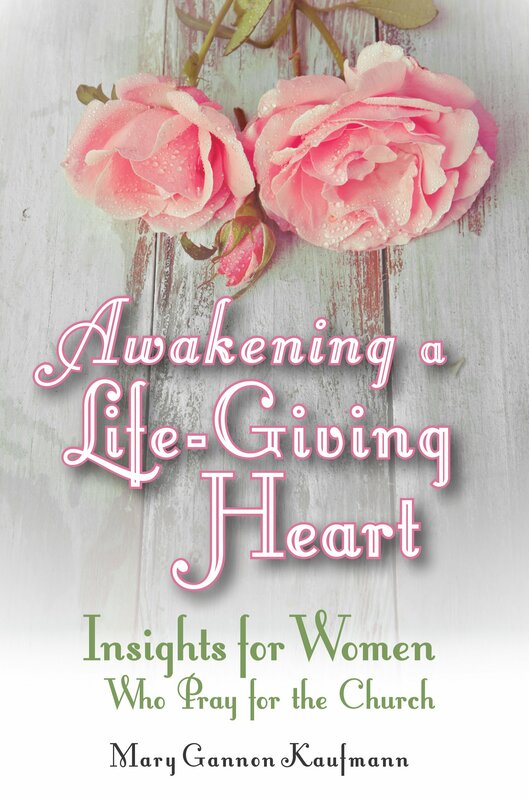 Using Venerable Concepción's work as well as the insights of other saintly women, Awakening a Life-Giving Heart helps women learn to negotiate the ups and downs of their lives as prayerful sacrifices for others. It is interesting to see all the various types of books on the spiritual life. Somewhere in this Mega-giveaway stack I may find one that zings my heart. I wonder if this will be it. Has anyone read it? 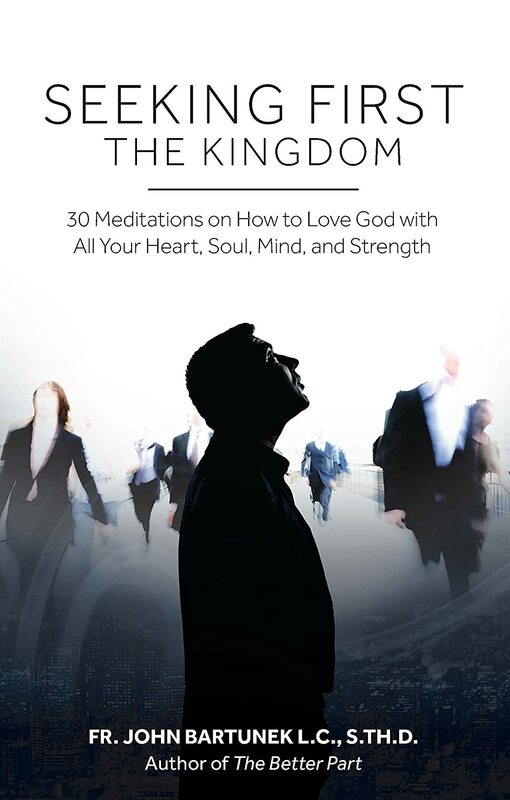 For anyone who is curious to go deeper in their relationship with Jesus Christ, Seeking First the Kingdom: 30 Meditations on How to Love God with All Your Heart, Soul, Mind, and Strength was written to help those those pursuing Christ to take the next step in spiritual maturity. You want to go deeper and grow closer, but how? By identifying four core areas of your relationship with God (heart, soul, mind, and strength), Fr. John Bartunek helps determine what areas you're stuck in. Short chapters and reflection/discussion questions make this book digestible and applicable to your life. By identifying where you need to grow, you'll experience renewed enthusiasm and discover a new depth to your prayer life. Seeking First the Kingdom is full of practical examples and down-to-earth wisdom which will show you how to bring Christ into each facet of your life. In these 30 meditations, you’ll learn: how to bring every dimension of your being into your relationship with God, how to handle the emotional roller coaster of everyday life, how to overcome spiritual obstacles and roadblocks, and ways to develop virtue and grow in holiness. Along the way, you’ll discover how to cultivate a deep and joy-filled friendship with Christ - an adventure that begins today, here on earth, and continues for all eternity. I guess Someone is really trying to tell me my prayer life needs work (and it does). This book looks like one that could be used individually or in a group setting. Into the toppling tower of TBR it goes. I got so much stuff from Catholic Word, via the Mega-Advent Giveaway that I'm spreading it out in several posts. This post will highlight two children's books. The animals can't wait to share the news. Something exciting and beautiful has come to be! 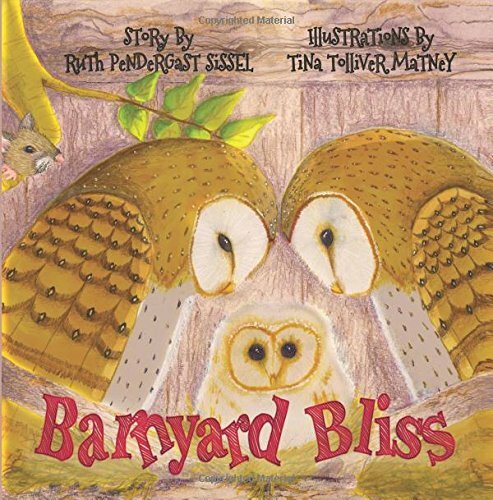 All of creation rejoices as word of Mr. And Mrs. Hoot's owlet spread throughout the farm in this whimsical tale written by Ruth Pendergast Sissel. and Illustrated by Tina Tolliver Matney. "With unbridled joy, their voices rise. All things old become refreshed. Welcome Babe, this joyous day! We pray your life is blessed!" A cute book showcasing animals that rejoice when their friends have a baby. Featured animals include the cow, the hummingbird, the butterfly, the peacock, the chicken and the lamb. There isn't really a plot but young children will enjoy finding their animal friends. Grade: B. Things are usually perfect at Grandma and Grandpa's cabin. But not on the day after a fierce storm comes to Fossil Lake. The cellar, stocked with all the food the family needs, is blocked by a fallen tree. The bridge is washed out, and there's no way to get to town. But it isn't her own rumbling tummy that worries Victoria as much as the sparrows' broken and empty bird feeder. Before the day is through, the young girl will come to understand what providence is all about. 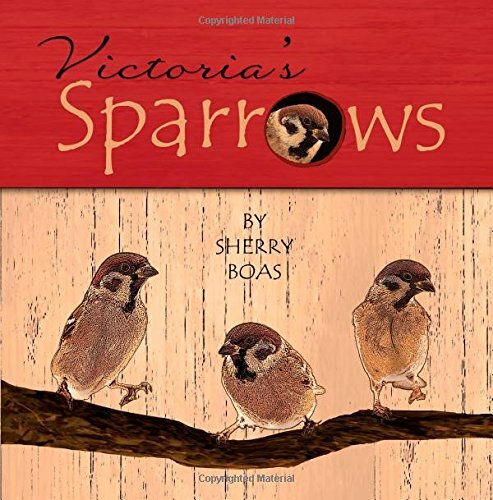 The layers of meaning hidden in this story, full of unanticipated twists and turns, have become a trademark of author Sherry Boas' work. The seasoned writer's experiences as a journalist, novelist and mother inspire her to write stories that fill readers with a sense of wonder at life's unexpected goodness. The illustrations in this book are charming and I guess I'm getting old because the grandmother looked about my age and was dressed like women my age dress. She wasn't a plumpish woman with curly white short hair who wore and dress covered by an apron. Grade: B-. In order to effectively reach this generation with the richness and beauty of our Catholic faith, it must be done in new and relevant ways. Teens watch a staggering amount of media content each day. Why not reach out to them through this channel that resonates with them and speaks their language? The VCAT Video Catechism does this through creative short films and videos that use cultural analogies, creativity, humor, and always try to answer the question, "Why should a teenager care about this?" At the heart of each video is a point (or points) articulated by the Catechism of the Catholic Church. I won this video as part of the Mega Advent Giveaway. What? You want it autographed and wrapped in a bow? I've heard that said as a not-so-nice remark when someone gave someone else something that the recipient didn't really want. Well, I want books but I had to smile today when I got one that was autographed and tied with a bow. Thanks to the author, Maura Poston Zagrans. 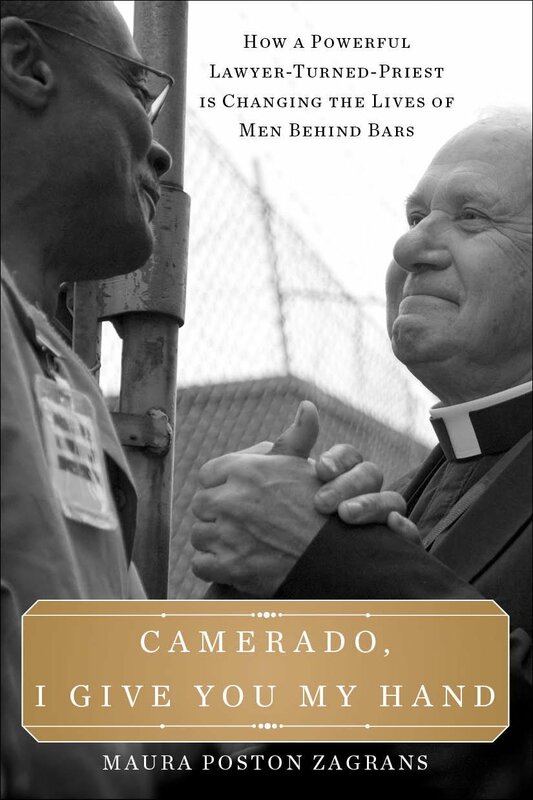 As a paralegal who does criminal defense work, I'm looking forward to reading Camerado, I Give You My Hand. For many years Dr. David T. Link helped young men and women prepare to become lawyers. After his wife died, and at a time in his life when most people retire, Dr. Link felt called to serve the Church and to aid the men that his profession normally put behind bars, ministering healing and forgiveness to murderers, thieves, and what many would call the least of society. This is a book about the value of human life, and about the transformative power of friendship and compassion. Meeting Father Dave gives us hope that one person can make a difference and, through successive reinterpretations of his own life's purpose, he makes the case for adding our own unique gifts to help the least of these, our brothers and sisters from all walks of life. 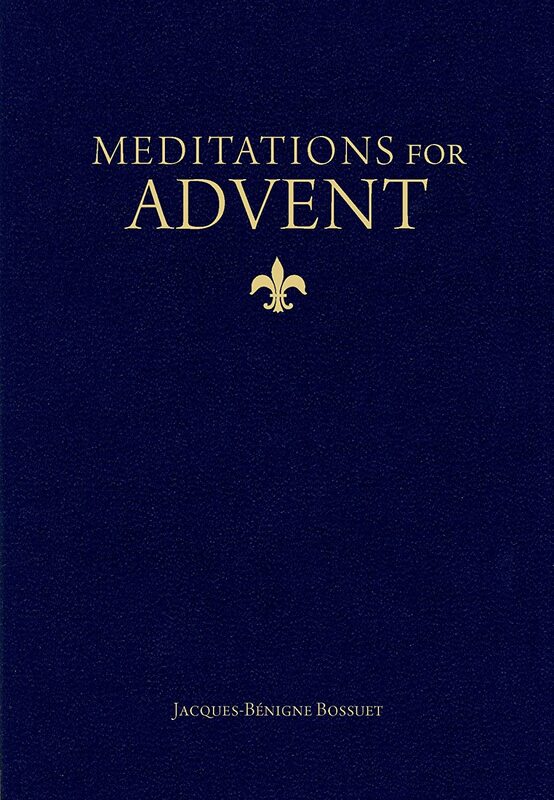 Keep Christ in Christmas this year by turning to this slim volume of daily Advent meditations by Bishop Jacques-Bénigne Bossuet, one of the greatest homilists in the history of the Church. 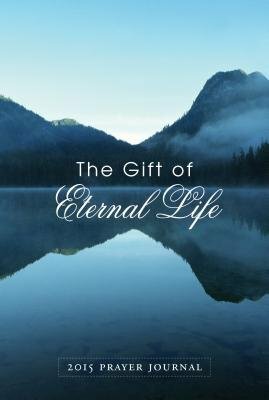 Carefully selected to lift your soul to God in those hectic days that stretch from Thanksgiving to Christmas, these forty daily meditations will keep you mindful of the real meaning of Christmas while affording you an admirable distillation of the doctrines and piety of our Holy Catholic Church. With the help of Bishop Bossuet — and the sense of God’s grandeur and love that permeates his every word — all through the rush toward Christmas you’ll stay mindful of the holy words of Isaiah foretelling the birth of our savior; you’ll find yourself marveling at the Annunciation and the Visitation; you’ll rejoice in anticipation of the coming birth of Jesus; and, finally, you’ll look forward to kneeling with St. Joseph and the Blessed Virgin in silent adoration of the incarnate Son of God. This year, you won’t (as so often happens) arrive at Midnight Mass distracted, exhausted, and frazzled, having neglected your Advent devotions and your ordinary prayers, too. Instead, you’ll find yourself stepping lightly into church, ready and eager to adore the newborn King, your soul what it should be: a fit dwelling place for the Redeemer. Let Meditations for Advent keep you prayerful amidst the worst distractions of the holiday season. Let it draw you daily closer to Jesus, whose birth the season celebrates, and whose birth your soul yearns to celebrate, too. Since we are halfway through Advent, I'm going to put this one away until next year. Many claim that Catholic Social Teaching implies the existence of a vast welfare state. 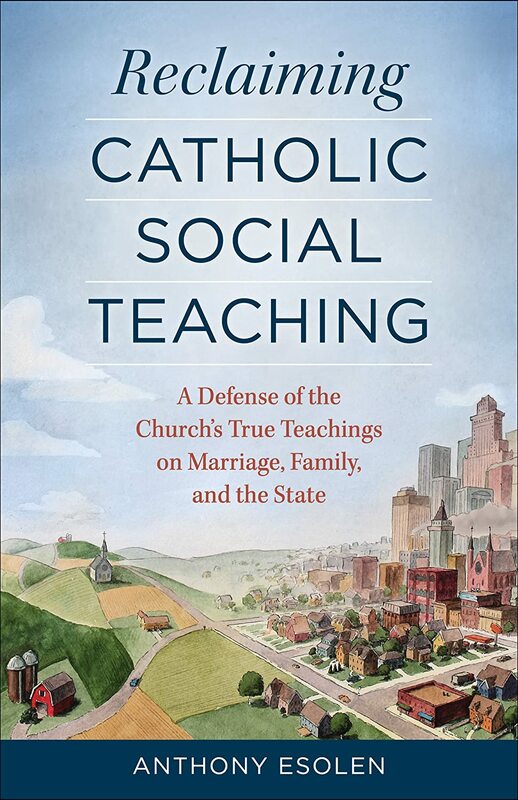 In these pages, Anthony Esolen pulls back the curtain on these false philosophers, showing how they’ve undermined the authentic social teachings of the Church in order to neutralize the biggest threat to their plans for secularization — the Catholic Church. With the voluminous writings of Pope Leo XIII as his guide, Esolen explains that Catholic Social Teaching isn't focused exclusively on serving the poor. Indeed, it offers us a rich treasure of insights about the nature of man, his eternal destiny, the sanctity of marriage, and the important role of the family in building a coherent and harmonious society. Catholic Social Teaching, explains Pope Leo, offers a unified worldview. What the Church says about the family is inextricable from what She says about the poor; and what She says about the Eucharist informs the essence of Her teachings on education, the arts — and even government. You will step away from these pages with a profound understanding of the root causes of the ills that afflict our society, and — thanks to Pope Leo and Anthony Esolen — well equipped to propose compelling remedies for them. Only an authentically Catholic culture provides for a stable and virtuous society that allows Christians to do the real work that can unite rich and poor. We must reclaim Catholic Social Teaching if we are to transform our society into the ideal mapped out by Pope Leo: a land of sinners, yes, but one enriched with love of God and neighbor and sustained by the very heart of the Church’s social teaching: the most holy Eucharist. All too often it seems that when "morality" it the topic of the day, the crowd splits between those on the right who are concerned with the unborn, with sexual sins, and with church attendance and those on the left who worry about the poor, about racism and about tolerance for those who are different than we are. This book has caught my eye because, at least in the blurb above, it looks like Esolen acknowledges that all those points are important. Here, Anthony Esolen—professor at Providence College and a prolific writer uses moral, theological, and cultural arguments to defend this holy and ancient institution, bedrock of society—and to illuminate the threats it faces from modern revolutions in law, public policy, and sexual morality. 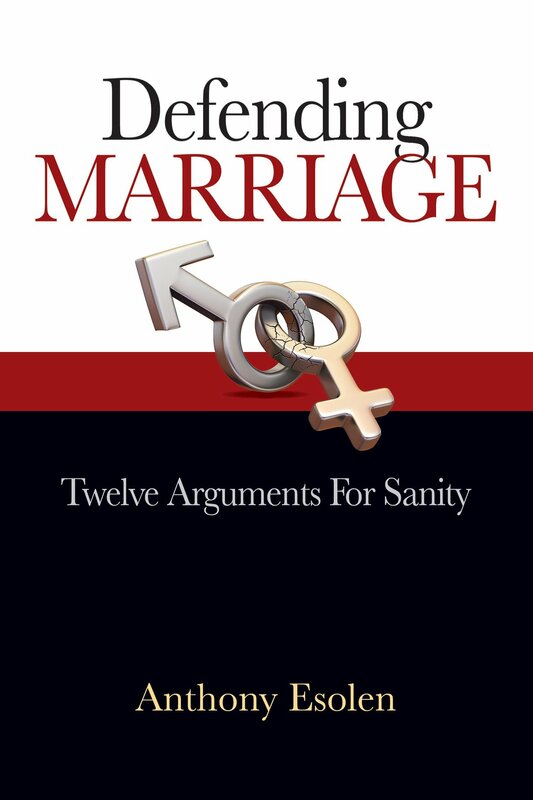 In Defending Marriage, Esolen expertly and succinctly identifies the cultural dangers of gay marriage and the Sexual Revolution which paved its way. He offers a stirring defense of true marriage, the family, culture, and love—and provides the compelling arguments that will return us to sanity, and out of our current morass. I guess this is one that will be controversial in some circles. I look forward to reading it. 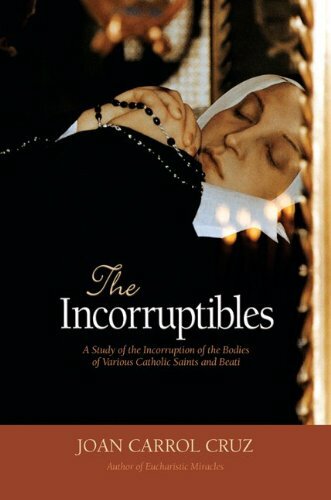 Continuously popular since it first appeared in 1977, The Incorruptibles remains the acknowledged classic on the bodies of Saints that did not undergo decomposition after death, many remaining fresh and flexible for years, or even centuries. After explaining both natural and artificial mummification, the author shows that the incorruption of the Saints bodies fits into neither category but constitutes a much greater phenomenon which is unexplained by modern science even to this day. The author presents 102 canonized Saints, Beati and Venerables, summarizing their lives, the discovery of their incorruption and investigations by Church and medical authorities. The incorruptible bodies of saints are a consoling sign of Christ s victory over death, a confirmation of the dogma of the Resurrection of the Body, a sign that the Saints are still with us in the Mystical Body of Christ, as well as a proof of the truth of the Catholic Faith for only in the Catholic Church do we find this phenomenon. I honestly had no idea there were anywhere near that many incorrupt saints. Some of them I knew were incorrupt, like Catherine Labore; others I knew were saints, but did not know were incorrupt, like St. Philip Neri. Then there were those like Blessed Sibyllina Biscossi that I knew nothing about. This book looks like it will be very interesting. 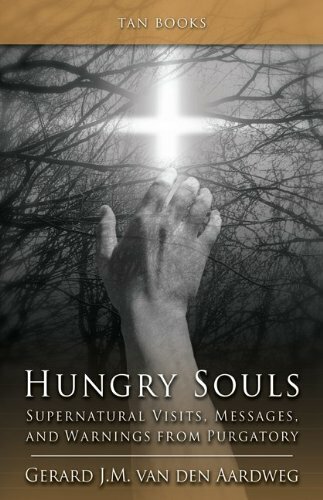 Hungry Souls recounts these stories and many others trustworthy, Church-verified accounts of earthly visitations from the dead in Purgatory. Accompanying these accounts are images from the "Museum of Purgatory" in Rome, which contains relics of encounters with the Holy Souls, including numerous evidences of hand prints burned into clothing and books; burn marks that cannot be explained by natural means or duplicated by artificial ones. Riveting! Some people love ghost stories or paranormal romances. I'm not one of them. I can't promise this book will be at the top of my TBR list. On many occasions throughout the history of the Catholic Church, God has provided visible proof of the invisible reality of the Real Presence of Jesus Christ in the Holy Eucharist. 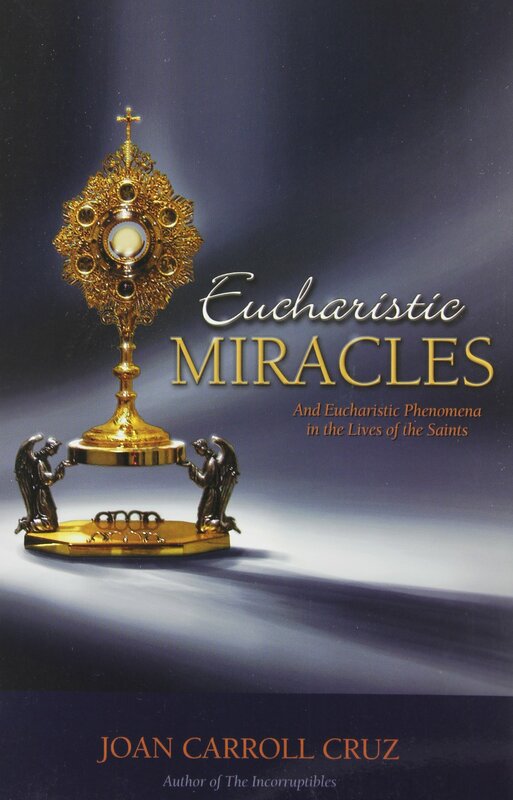 In her book, Eucharistic Miracles, Joan Carroll Cruz documents 36 such miracles which occurred from 800 AD to the present day. This book tells of consecrated Hosts which have visibly turned to human flesh, have bled, levitated, and which have become hard as flint when received by a person in mortal sin. It details the official investigations that have been made into these miracles by scientists throughout the world, and where some can still be venerated today. Eucharistic Miracles also recounts miraculous Eucharistic phenomena in the lives of saints: saints who lived with only the Eucharist for sustenance, received Communication miraculously, or experienced raptures, ecstasies, levitations, visions, locutions, and more. Pictures and photographs of the miracles, the churches they took place in, and the people involved are also included, adding the final touch to a comprehensive, detailed, and extraordinary overview of these miraculous happenings. Eucharistic Miracles is a superb compilation of God's visible testimony of the truth of the Catholic Faith, proving the reality of one of its loftiest mysteries — the Real Presence of Jesus Christ in the Holy Eucharist. This looks interesting; I'll have to see what these stories have to say. 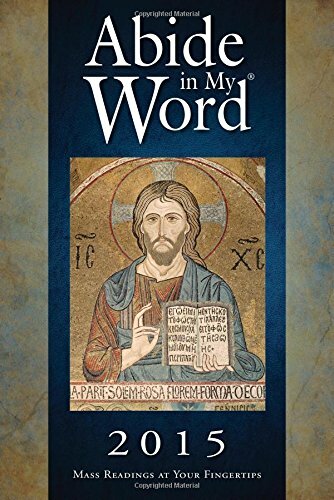 For years, Abide in My Word has been helping Catholics follow the daily and Sunday Mass Scripture readings and stay attuned to the liturgical year. Its enduring popularity lies in its convenience and simplicity. The complete text for each day s Mass readings, including the responsorial psalm, is easily located, arranged chronologically by date. Its light weight makes it a great traveling companion. The Scripture texts are taken from the Church s official Lectionary for Mass for Use in Dioceses of the United States, which is based on the New American Bible translation that U.S. Catholics hear at Mass. This is a gift that can be used every day of the year to abide in God through his word. This is an excellant resource for anyone who wants to follow the daily or weekly Mass readings. While a bit large to be comfortably carried in a purse, it would fit into a briefcase with ease and would be right at home on a bedside table. It is a one year book--each reading is for a specific day, not Cycle A, first Monday in Advent or the like. The book has only the readings, no commentary or meditations. There is enough white space on most pages for a few notes though serious journalers will want to look for something in addition to this book. Grade: A. • An inspiring selection of prayers and quotations at the beginning of each month. This is the perfect companion book to Abide in My Word. You can look inside the journal here to see if it provides enough room for you. Once upon a time journaling used to be my prayer form and I would write a page or two in a composition book nightly. For someone who writes like that, this book probably wouldn't be big enough but for someone who wants to jot down prayer intentions or write a thought or two, it is the perfect size, and if you need something to ponder, each week gives you two quotes, either from Scripture, or from a saint or Pope. If you don't have a book with the Mass readings, this lists them so you can look them up. Grade: A. The Eucharist is a practical reality Jesus wants to be present in our everyday encounters and experiences. 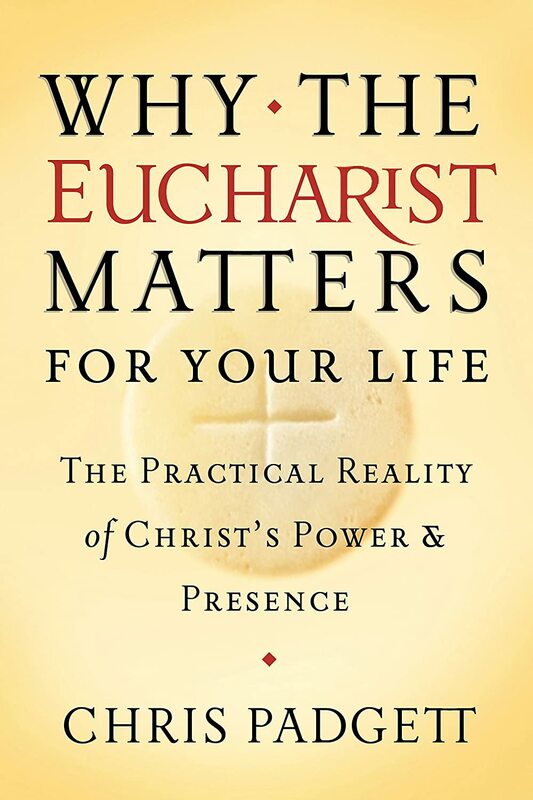 In down-to-earth and often humorous ways, author Chris Padgett helps us find an immediate connection between receiving Jesus in the Eucharist and living a holy life in difficult times. The forty reflections in this book will enlarge your vision of the power of Christ through the Eucharist to change your life and those you meet. These reflections are about three pages each and end with a prayer starter. For example, one of the reflections included a story about the author's son recognizing Jesus on the crucifix in a strange church, but then asking "How did He get here?". Padgett then talks about inviting Jesus into our lives and the prayer starter says "When did I recently invite Jesus into the moments of my day? When may I have forgotten to do so?" I may have more to say about this book after I have read more than one reflection but for now I'll give it a B+. 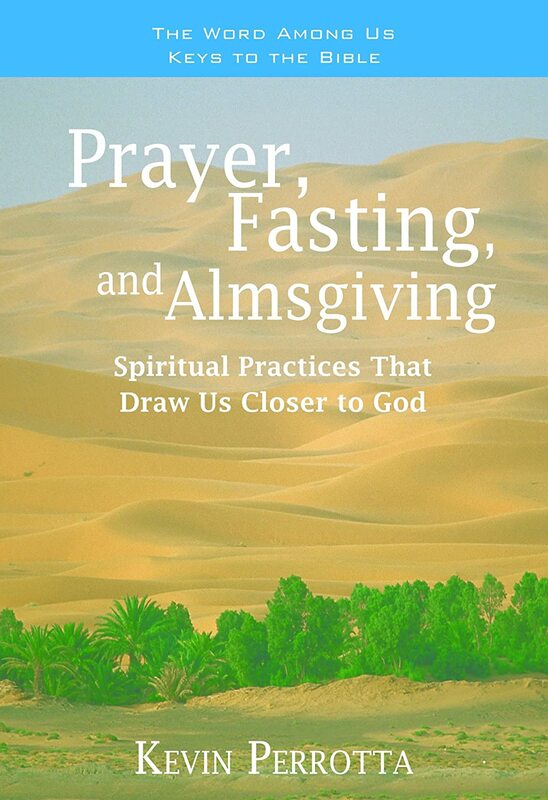 Prayer, fasting, and almsgiving are often called “spiritual disciplines.” The term highlights their similarity to physical disciplines. But like a physical fitness program, we can go through the motions of these practices without deriving much benefit from them. Jesus wants the spiritual disciplines to work for us. Only the Holy Spirit can make us holy, but we can spur the Spirit to help us. That is what almsgiving, prayer, and fasting are: ways of seeking the Holy Spirit’s help, ways of beginning to cooperate with his work in us. In this Bible study, popular Scripture commentator Kevin Perrotta selects six readings from Scripture—one Old Testament and one New Testament text for each spiritual discipline. Each passage confront us with some of the most important aspects of these practices, showing us why we undertake them and how they can transform us so that we become more like the persons that God has created us to be. •	Perfect for Lent but can also be used at any time of year. •	“In the Spotlight” sections highlight background information on passages, words used in Scripture, and biblical history. While I haven't done more than flip through this book, it looks like a quick non-technical Bible study. It is divided into six chapters with an introduction and a guide for using with a group. Each section begins with a Scripture passage--Session 1 is Ruth 1:1-22 (wonder why I like that one?) Following the passage is some explanatory material that ties the reading into the theme. This is followed by some questions marked "Understand!" and the questions themselves have some explanation in them. There is space to answer them in the book. These questions are basically text-based. Then there are questions marked "Grow!" which relate the story to your life. One example is "Serving others' needs can be burdensome. When have you found joy in helping another person?" Again there is space for the reader to answer the question. There is no room to answer the "Reflect!" questions and they are obviously there to be fodder for prayer over a period of time. The "Act!" section challanges you to select one action to do as a result of this study. The sections also include sections titled "In the Spotlight" that may tell about other people or other scripture passages that go along with the theme. I'll review this one once I have time to go through it. The joy of the Lord is our strength (cf. Nehemiah 8:10). Worries, pressures, disappointments, and stress are the weeds that crowd out the fruit of joy in our hearts. How can we remember that God's joy is available to us at every moment? How can we resist succumbing to negativity, sadness, or cynicism? 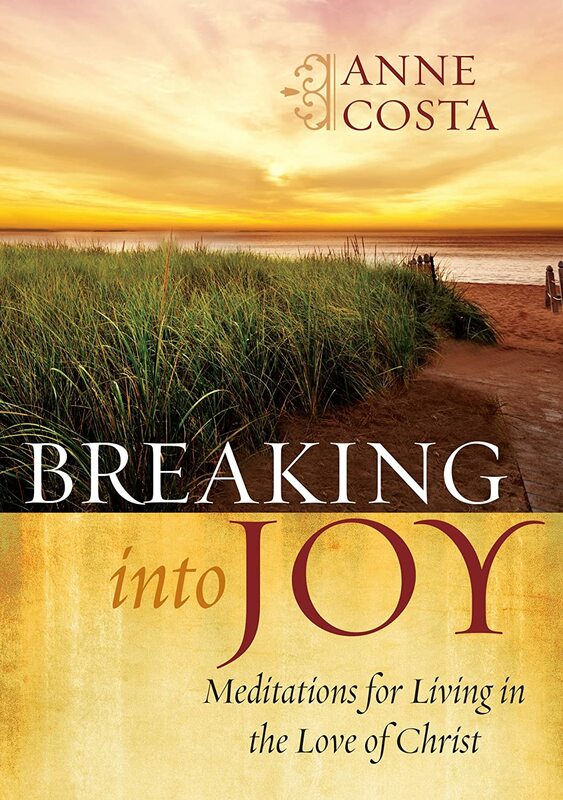 Anne Costa writes about the joy of the Lord in this book of one hundred short meditations. In each one, she challenges us to see how we can choose God's joy in the everyday events and encounters of our lives. Costa's gentle reminders can help you break into joy and live in the love that Christ has for you. This book is the perfect size to tuck into your purse to pull out when you have a minute to spare. It contains one hundred meditations. Each starts with a Scripture verse. That verse is generally followed by a story. For example, one meditation is on Phillipians 4:4 "Rejoice in the Lord always. I shall say it again: Rejoice!". The story that follows is about a woman whose husband left her. She was unhappy and wondered if she would ever have joy again. Then she happened upon a book that reminded her that the Bible said to rejoice, it did not command us to be joyful always. It spoke about Job rejoicing, even with all that befell him. The sections end with a "Joy Note"--a question to ponder. In this case the question was "Are you rejoicing today?" While I've only read a couple of the sections, I'll give this book a B+. Even before he died, his contemporaries honored Francis, the poor man of Assisi, as a saint. He has lost none of his appeal for people today—even our pope has taken the name of this great saint. That’s because the message of Francis for us is quite simply the message of Jesus. This book looks not only at Francis’ life and times but also helps us see how we can take on his spirituality in dealing with the challenges in our lives and in the world today. The authors shed light on Francis’ love of poverty, his rejection of violence, his call to reform the Church, his reaction to suffering, and his sacramental vision of life—all the while challenging us to see how fully living out the radical call of the gospel gives us joy and answers the problems besetting our world today. I'd classify this as a spiritual biography. 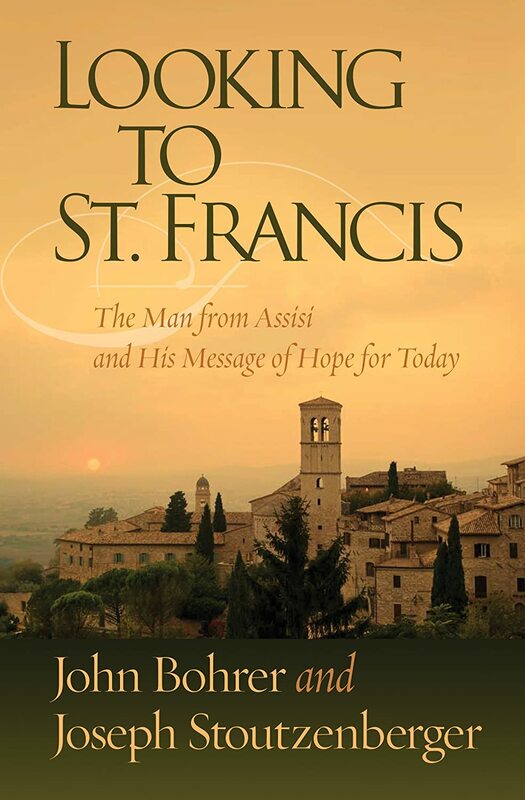 The authors tell the story of St. Francis' life but use it to teach about his spirituality. Since I haven't read it, I won't comment more at this point except to say that each chapter has reflection questions at the end. I'll review this one when I finish it. Thanks again to The Word Among Us Press.